LI Web is a group of talented developers, designers, administrators, marketers, managers and leaders who work in the web space. We hold several different types of events including Presentation Nights, Dev Sprints and Social Outings. Our goal is to share knowledge, ideas and help build a community of like minded professionals on Long Island. 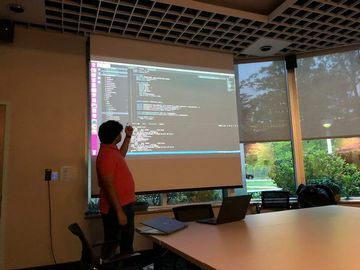 Our meetups will predominantly be held at Stony Brook University and the surrounding area with the goal of bridging the gap between Long Island Professionals and the University Community. With that said, we also want to encourage anyone interested in hosting events to let us know and we'll be happy to cross promote or make you an event organizer. We look forward to building and growing this community and the exciting learning opportunities that are ahead of us!